Pharmacists are awesome. The profession is—and has always been—a space for inventors, innovators, and tireless public health champions to make positive impacts locally and globally. It’s no surprise, then, that pharmacists continue to adapt and evolve within a rapidly-changing healthcare landscape. For the positive contributions they make, often without much fanfare, our research indicates you should find a nearby pharmacist and offer a hug. We asked experts to explain the critical roles pharmacists play in contemporary society. Their responses reinforce the hug-worthiness of the modern pharmacist. "Being a pharmacist is about more than filling prescriptions – it’s about improving patient lives. Pharmacists are some of the most accessible healthcare professionals in the world, and are ideally positioned to be a resource to millions of patients walking in the door of retail and clinical sites every day. "From simple medication or health questions to more complex disease state management issues, pharmacists regularly extend a helping hand to a public that is increasingly seeking answers. The CDC recently recognized the value of pharmacists in a letter applauding the impact of pharmacist administered immunizations. The vast reach of the pharmacy profession is so valuable to public health. Additionally, the wise counsel and problem solving skills of a local pharmacist can have enormous impact on clinical outcomes as well. "Take compounding pharmacy, for example. For the many people whose needs are not being met by commercially available medications, like the child who can’t swallow pills, or the cancer patient who needs a drug that’s in short supply or needs it administered in a different way, compounding gives pharmacists the means to customize medications to meet specific patient needs. This is personalized medication, and also represents the foundation of the pharmacy profession. So often the result is a very warm hug from a patient or his or her family members. "All pharmacists, regardless of specialty or setting, seek to do one thing: help improve patient lives." "Pharmacy is a dynamic profession, and the role of the pharmacist continues to evolve as pharmacists move from being medication dispensers to patient-focused and outcome-oriented care providers. "Optimizing a pharmacist's expertise, the pharmacy profession, and the variety of pharmacy practice roles is critical to advancing our existing health care systems and to helping ensure our health resources as used as effectively as possible to drive increases in quality and accessibility. Today’s health care system is challenged by the rise of chronic diseases and the associated resource challenges, as well as other critical issues including health disparities, access to quality care, and health care delivery inefficiencies. In an increasingly complex health care environment with advanced patient health needs, pharmacists play an integral role in both the provision of and the access to quality patient care. "Pharmacists and their professional associations have been proactive by taking actions to better integrate pharmacists into the health care system in novel and successful ways and accelerating the development of innovative models of care. Modern pharmacy practice promotes and embraces inter-professional collaboration, and, pursuant to this concept, pharmacists are recognized as the professionals responsible for drug therapy management. Pharmacists are making a noticeable impact on and contribution to the care of chronic diseases by improving adherence to medications, a key factor in the improvement of outcomes. Furthermore, pharmacists are championing the coordination of drug therapy management throughout the multiple intersections that patients encounter with the complex health system, as well as recognizing and promoting opportunities to access the health care through efficient interventions in the ambulatory community setting. Through better-coordinated drug therapy, pharmacists are creating better patient outcomes through decreased therapeutic redundancy, and impactful interventions. "Much has already been achieved by effectively using pharmacists through improved coordination of drug therapies and the use of care plans to optimize patient outcomes. And in addition to the ever broader roles that pharmacists now serve in diverse care settings, along with the introduction of new subspecialties and the expansion of the scope of services provided; pharmacists are answering the call to fulfill roles at the forefront of advancing pharmaceutical science and medication quality, and in driving healthcare focused public policy." "Pharmacists serve in a vast variety of roles, but with one common goal of ensuring public health. "Pharmacists often serve as the first line of defense for patients against many common ailments, whether it is seeking symptom relief with over-the-counter products, receiving counseling for new medications, or getting your routine vaccinations. In addition to our local pharmacist behind the counter, pharmacists serve in many other roles to protect public health. There are pharmacists who work in the government sector such as the Centers for Disease Control and Prevention which monitors for and manages outbreaks; the private sector in industry to assist in development of drugs for debilitating conditions; as well as nonprofit organizations such as the United States Pharmacists Convention (USP) which sets quality standards for drugs. 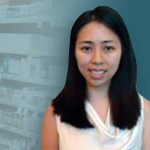 "At USP, I have the privilege of working with the Compounding Expert Committee composed of mostly pharmacists. These pharmacists come from a variety of practice settings with a common goal of developing standards to ensure quality compounded preparations. Compounding involves the combination or mixing of ingredients to individualize a treatment for a patient. Whether the compounded preparation is for a sick child who cannot swallow a tablet or a palliative care patient who needs a higher concentration of pain medication, the practice of compounding is critical for many patients. The Compounding Expert Committee takes an active role in supporting access to customized therapies by setting standards for sterile and nonsterile medications."